Background/Info: Sydney (Australia) based artist Daniel Hall is already back on track unleashing his ninth studio album! “Maelstrom” is already accompanied by a DVD featuring 9 clips from the 11 songs featured on this album. Content: Daniel Hall is not only a prolific artist; he also is a talented musician and clip producer. 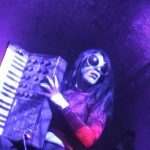 The sound is inspired by electro-pop music, which often sounds sweet and evasive, but still sensual and carried by a slow, danceable cadence. 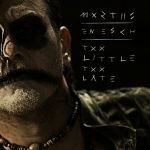 The songs are well-crafted and you here rapidly will hear the impressive production skills of the artist. Daniel Hall clearly works with professional equipment, but he also is a talented producer. From refined bleeping sequences to multiple sound effects to joining hands with a female vocalist for one of the songs, this work is refreshing pop approach. The DVD will give you the opportunity to rediscover 9 from the 11 songs a different way. The clips are professional and quite diversified in their script. 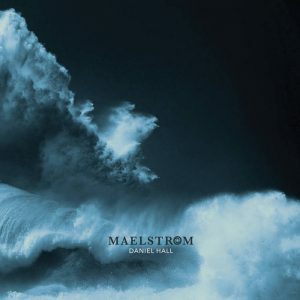 + + + : All of the songs on “Maelstrom” can’t convince me, but the writing- and production skills of Daniel Hall have already convinced me for a while. This guy composes great electro-pop music, which is sometimes a bit smooth and groovy, but always accomplished with a nose for details and without falling into the trap of emulating a bigger artist. Daniel Hall has composed his own style and now clearly claims to have created a very own sound DNA. His particular timbre of voice, which sounds a little less nasal, is reinforcing this DNA. I especially like the most sensual cuts such as “Rescue Me” and “Suspicious Minds”. Just like on his previous work, Daniel Hall also realized professional clips. – – – : I’m not a huge fan of the smoothest cuts, which are more into a kind of reverie-ballad electro-style (cf. “Godspeed”, “Falling”), but globally speaking this artist is improving his work each time again. Conclusion: I think to have already said that if you don’t know yet Daniel Hall and you’re into electro-pop you definitely have to discover this talented musician/producer. Best songs: “Rescue Me”, “Pressure”, “Spider feat. Janne Villaflor”, “Maelstrom”, “Suspicious Minds”.